The ‘Folgefonn’ was operated autonomously for its entire route from dock-to-dock with the Wärtsilä automated dock-to-dock solution. The technology group Wärtsilä has successfully completed a further round of test procedures of its automated dock-to-dock solution. 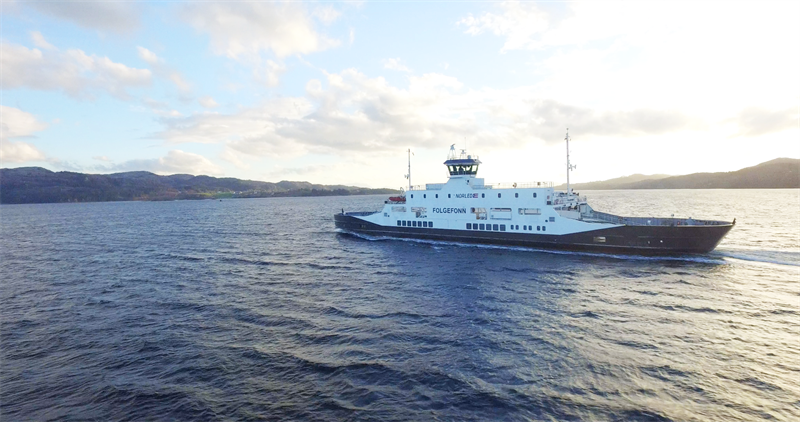 In an unprecedented operation, in the presence of the Norwegian Maritime Authority (NMA), the system was further tested on the ferry ‘Folgefonn’, this time for full dock-to-dock capability, with the autonomous operation being utilised uninterrupted for the entire route, visiting all three ports serviced by the ship. “This represents a huge step forward in validating automated shipping solutions, and an important progression within our Smart Marine programme. This emphasises once again Wärtsilä’s recognised position as the global technology leader in marine innovations. We continue to lead the way in developing the ‘intelligent’ products and systems needed to move the marine industry towards a new era of super-high efficiency, safety, and environmental sustainability,” says Joonas Makkonen, Vice President, Voyage Solutions, Wärtsilä. Image caption: The ‘Folgefonn’ was operated autonomously for its entire route from dock-to-dock with the Wärtsilä automated dock-to-dock solution.